He told journalists in London that half the investment would go into the car, the other half into the battery. 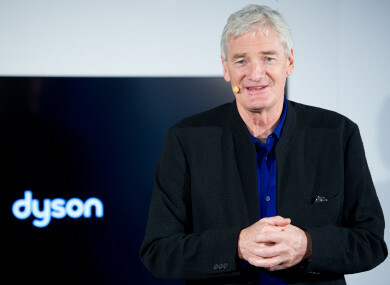 JAMES DYSON HAS announced he is investing €2.3 billion into developing an electric car by 2020, a new venture for the British inventor of the bagless vacuum cleaner. The 70-year-old British entrepreneur said work began two and a half years ago on a project which he hopes will help tackle the scourge of air pollution. “Dyson has begun work on a battery electric vehicle, due to be launched by 2020,” he said in an email to employees, referring to his eponymous company. “The team is already over 400-strong, and we are recruiting aggressively. I’m committed to investing £2 billion on this endeavour,” he said. Details of the project remain top secret, but he said every element would be designed by his company. In seeking to launch his own electric car without the aide of an established partner, Dyson follows the lead of US firm Tesla, founded by business magnate Elon Musk. But it will put him up against major players in the automobile industry who are making their own forays into new technology. Dyson made his name with the bagless vacuum cleaner, but the company currently holds more than 10,000 patents, and produces hair dryers, fans, heaters and lighting. In his email to staff, he revealed this is not his first attempt to enter the automotive sector. In the 1990s he developed a filter that could be fitted on car exhaust systems, but said “nobody at the time was interested”. He warned that poor government policies to tackle air pollution meant that “developed and developing cities are full of smog-belching cars, lorries and buses”. “It is a problem that others are ignoring,” he said. But Dyson said he never gave up his ambition to find a solution. “At this moment, we finally have the opportunity to bring all our technologies together into a single product,” he wrote to staff. The research for the new vehicle will be done in Britain, but Dyson said he would decide in the coming months where the manufacturing would take place. Email “Inventor James Dyson is investing €2.3 billion into creating an electric car”. Feedback on “Inventor James Dyson is investing €2.3 billion into creating an electric car”.